Doris were did you park the car? I was outside the library at 10:45 and couldn't believe my eye when I saw the car parked down the steps. I assumed it was a stolen car and they had crashed it. But no I spoke to eye witness who said it was two little old ladies driving past the library when a coach blew its horn and frightened them. The crashed through a post and some how ended up parked on the steps. They feared they would have been hurt but they got out looking for their teeth which had shot out of their mouths when the crash happened. What no one could understand is how they got there as there was not a mark on the flower bed or trees and they missed the first side of the steps as though they had done a Knight rider over it. It took over and hour to get the car out with lots of people watching. Thankfully no one was hurt. We were having a competition with the Chronicle who came down as what the caption should be? Cheshire East Council and Bill Scragg From the Community Payback scheme(Probation Service) to go all over Tipkinder woodland walk. We looked at the rubbish in the stream, overgrown paths and dead trees. Bill is going to get his team over and clear the paths of nettles and remove the rubbish from the stream which is difficult because its all in the water. If people had just dumped the rubbish on the road it could be removed in 5 mins as it is its a big job fishing it out of the stream. Thats in the short term in the long term they will try and clear the path along the stream and put some seats for people to enjoy the area. Caroline is going to get the trees we identified as dead checked out ASAP as they may be a danger and have to be felled. Being very big some of the trees could crash across the steam and hit house on the other side. She will remove all the rubbish on the banks etc. We were looking to promote the area as its a lovely walk in the trees by the stream and lots of people just dont know its there. It has lots of wildlife for people to enjoy and there are a few hidden walks all around the area we even found the secret BMX track, no not the main one by the skate park a secret one in the woods. There is a lovely woodland walk at the back of Tipkinder BMX track which goes from Collins St to the Queens Park. Its a public walk but for years the council havent maintained the walk and the paths have nettles all along the path. In a week or two the path will be dangerous to walk as brambles come across the path. If thats not enough there are a lot of trees that are dead and may fall on the publics head, one fell across the path last year. When the trees fall the kids use them to set fires or use them as a battering ram. There is actually a second path by the side of the steam which comes out by the park but is un passable at the moment due to rubbish. It seams as though this could be an ideal project for Community Payback With this local criminal work for the community clearing paths etc. We have asked Cllrs Brian Silvester and Andrew Knowles if this walk can be made safe and usable this summer. The other problem as you can see in the photo above is rubbish, a few weeks ago in our clean Crewe campaign we reported rubbish in the area which was removed by the council but since then someone has emptied half a house into the stream and the whole stream needs the trolleys and rubbish removing. New charges are being brought in by Cheshire East to tackle the number of stray dogs in the Borough, as the Council warns that it will get tough on the issue of the problems caused by dogs on the streets. More than 1,300 strays have been picked up over the last four years by Council dog wardens. Cheshire East Council says the new charges, which must be paid in advance, are aimed at reducing the number of strays and encouraging responsible dog ownership. The approach is part of the authority’s community safety strategy which highlights dog fouling as a major concern for residents. An £80 fee will be levied on owners to release dogs founding straying on the streets without any identification. 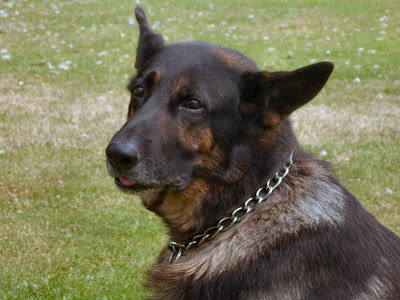 The animal will be taken to registered kennels at Stoke on Trent and kept for seven days. If it is not claimed within this period, then efforts will be made to rehome it via an animal charity. Dogs which can be identified through a collar or micro-chipping will be returned to their registered owners by the dog warden at a cost of £40. If the dog is found straying again, it will not to be returned to the owner but taken to the kennels and the full fee will be payable before release. If a member of the public finds a dog out of hours or at weekends, they should contact 01270 529599 and will be advised to take the dog to one of two reception centres, the Hollies at Crewe for dogs found in the Crewe area or Fields Farm at Eaton - for dogs found in the Macclesfield/Congleton areas. It is the finder’s responsibility to take the dog, as the Council does not operate an out-of-hours dog collection service. If this is not possible, the dog warden will visit during the next working day to pick it up. I asked Councillor Andrew Knowles about readers comments on the Queens Park and he quickly replied and has answered question from our readers as it comes under his portfolio. and with a short time she sent men to clean up again but this time they sorted through the rubbish and found lots of evidence of the house in Oxford St that has been dumping this rubbish. It often contains smelly nappies and rotten food and there is no reason why it shouldn't go into the bin but they are to idle its simpler to just throw it out in the road. Everyone is on about saving the planet and saving energy, green house gases etc. We are all encouraged to turn off lights and dont leave tv's on standby to save out planet. But in the mist of all that Morrison of Crewe are destroying the planet all on their own. At night the petrol station is closed but its light up like Blackpool tower I counted over 20 lights not to mention the massive signs. Why are they on? Its just a waste and how much does all that expense put on our food bills? We have been trying to clean up Crewe over the last few weeks and the council have cleared all the rubbish we have reported in 24 hours in most case. This has been normal rubbish were people have had a new tv and thrown the old one out. But the picture show another type of problem. For every week for the last 12 weeks the rubbish has been thrown into the alley between Oxford St /Underwood Lane. The council come and remove it and within a few hours the same offender dumps even more rubbish in the same spot. You can see from the rubbish that its just normal rubbish which should go into a bin but they are too idle and just throw it in the alley. The problem is we know who is doing it but to get enough proof to take them to court is another thing as they can claim someone else did it. We are sick of potholes, aren’t you? We would also like you to send us information of any particularly bad potholes that get on your nerves! Send us locations, pictures, and stories of damage. We want to use your information, support, and petition to make the authorities and the Government sit up and take notice! We are also going to get out and about and fix some of your annoying potholes, absolutely free! So if you’re as sick of potholes as we are, we look forward to your support!! Asphalt Re-lay uses brand new market leading technology (patent pending) in order to repair potholes and asphalt defects. We do not take any waste material from site and nor do we require regular trips to an asphalt plant for replacement tarmacadam. We recycle the material already in the surface by using the industry’s most advanced infrared heater system. * We pull up in a van with 2 operatives. * Load a small infrared heater out the back doors. * Add a small amount of material. * The pothole is then banished for good. * We do this without closing the road. * A single pothole can be repaired in just 15 minutes. Our patent pending revolutionary infrared asphalt heating system can heat the asphalt to necessary temperature in just 4 minutes through complete and controlled combustion technologies that allows us to manipulate and re-set the surface without having to dig it up and throw it away. Our system is made of super-lightweight materials meaning we can carry 2 heaters onboard our vehicle and still be well within the legal weight limit. Their weight also means they are safer for our operatives to manoeuvre. http://www.ukip.org/ campaigning against the EU among other things. We spend £30 million a day that we pay the EU. I fought for a long time on my other website to make the area around Brooklands Grove safe as there was sewerage escaping onto the land see my Crewe sites We also got the storm drain fenced off so no one could fall in. Today a visit to to the area shows the fence has been vandalized or stolen for scrap and that the potholes for the storm drain have been removed leaving a 12 foot drop into the storm drain onto concrete. As children play in the area its clear it dangerous as a child could fall down the hole. Thats when the fun began I rang the council and confusion reigned well that should come under CCC but its all Cheshire East now we will try on no its not them it must be CNBC but thats us as well now. Would it be engineering, Parks and gardens, H&S, highways? We did in the end get there and they were going to send someone out straight away as it was a danger. But the council doesnt seem to have worked out who or what it is yet. The kids have properly been down this whole on a big adventure as you can walk along it inside as its very big. The problem is no water goes down it normally as it goes via the brook but any heavy rain and suddenly its a 6 foot torrent of water and you could be trapped and drowned very quickly. At the Eagle Bridge Health Centre on Tuesday 21st April is the grand opening of the new IT suite by the Wishing Well project. All are welcome to come along there will be Special guest, quizzes, Prize draw, Buffet between 10 am and 12 noon. Once again a new shop has opened in west St bucking the trend for shop closures. I report a couple of weeks ago how the Ginger Monkey and the sports drink shop had open in West St.
Police have issued a warning about doorstep callers in the Crewe area, following two burglaries. In one, (on Tue April 14th) two men in their twenties who claimed to be from a water company, called at the home of an elderly couple in the Leighton Park area. They asked the occupants to turn on the water in the bathroom. While that was being done, the men made off with a wallet. Two days earlier a young man called at a house about a mile away and claimed to know the elderly woman living there. He took money from her. Detective Inspector Nigel Groom, in charge of the Cheshire Police Eastern Area Burglary Unit said, “There is nothing to suggest that these incidents were linked, but they both highlight the issue of unscrupulous criminals who target elderly and vulnerable people. “We have had some success in tracing and arresting some of these people over the past few years and they receive lengthy prison sentences, but prevention is a lot better than detection. “We warn everyone to keep doors locked and if you answer the door to a caller you should keep the safety chain on. “Do not let anyone into your home unless you are absolutely certain you know who they are. If they produce an ID card, check it carefully and phone the relevant company or organization to see if the caller is genuine. “Public utility companies, like the water companies, do not send people round knocking doors and asking to come into your home without prior notice. “The door is your first line of defence. If these criminals realise they are not going to get in, they will go away. Elaine Dodd is the new Queens Park manager formally the Town Center manager . The new post is seen as a key role in helping to transform the Victorian park to its former glory. Well not Harry Potter but Local historian and former councillor Howard Curran along with Crewe Blog and television cameras were spotted on the square today looking into a large hole. It is of coarse the under ground chamber that was discovered last week. The underground tank is 12 metres long, three metres deep and three metres wide. It is thought it was built in the 1800 to supply water for the Turkish baths. We are not very enterprising any other town would have stopped work got onto Time Team done some Geo fiz and milked it for months getting onto the TV and promoting the town. But what do we do bury it. It possible it could have been made into a historical feature to attract visitor and a missed opportunity. Easter Monday and there a lot of people at the Queens Park enjoying the sun. The little train that runs around the Park was out giving rides and a lot of kids on the play area. Some came to feed the ducks and look around but the question on everyones lips is when will it be finished. As the new contractor hasnt yet been appointed work is at a stand still. All that is happening is the railings have had there third coat of paint. Cheshire East Council has a new deputy leader. Brian Silvester, who represents Rope Ward in Crewe, is now second in command to Leader Wesley Fitzgerald. Councillor Silvester, the Portfolio Holder for Safer and Stronger Communities, took up his position at the first annual meeting of Cheshire East Council, which was held at Tatton Park, Knutsford, on Thursday 2 April. Of his election, Councillor Silvester says: "I am delighted and honoured to be elected the first Deputy Leader of the new Council. I look forward to working with the Leader, councillors and officers to make Cheshire East one of the best councils in the country. It is a challenge that I will relish." 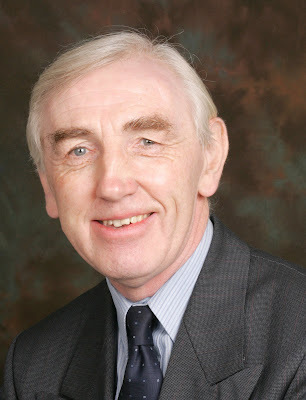 Councillor Wesley Fitzgerald says: "We've confirmed the team to lead the Council over the next year following our period as a shadow authority. I now look forward to delivering improved services over the next 12 months in this new era of local government for  Cheshire East." The Annual Council also agreed a timetable of meetings which will see full Council meetings in 2009 at different venues across the Borough on Thursday evenings at 6pm on 23 July and 2pm on 15 October and 17 December. Cabinet meetings will be held monthly on Tuesday afternoons at 2pm. 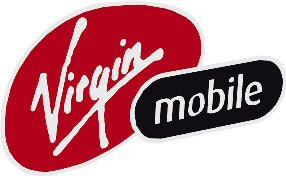 When HMV took over the old Virgin Store they kept Virgin Mobile on for a trail period. This period has come to an end and it has now been closed like lots of other Virgin Mobile in stores. I understand they are looking for a new outlet. Talking about Mobiles I needed a new charger for a mobile and also wanted it unlocking. In the market they wanted £15 for the charger and £15 to unlock the phone. The outside market messed about for an hour with cables but couldnt unlock it but wanted £10. Caroline Yoxall Cleansing Supervisor Cheshire East Council has reported back that all the rubbish reported to her from this web site and Crewe Blog has now been cleared apart from the Valley Brook which she is working on as it will require more men to enter the water and get the rubbish out. You can see the rubbish behind the power sub station has been all cleared. But what do we see after a day there is all ready a trolley appeared and look at the top of the sub station how the fence which is there to protect people has been broken and the walls covered in graffiti. Walk around the corner onto the field and were the new fence has been put up a few weeks ago with trees planted to enhance the are what do we see the fence smashed down and just look at the rubbish. From the location of the rubbish it looks as if residents have just thrown it over from their gardens. So its like painting the Firth of Forth bridge as soon as you move the rubbish it gets dumped again. We cant do any good until we can change peoples attitude to dumping rubbish. There is an application in for CCTV and flood lighting on the newly refurbished Leighton Park play area. It has now been fenced off had trees planted and new paths to smarten up the are. Its hoped if they get CCTV that it will stop the dumping of rubbish and setting fires that you can see in the photo. The area is often plagued with kids on motor bikes putting lives at risk. Its always fun to see what is going on in the Town Center on a Saturday you never know what you will come across. Just around the corner was the Wheelock Heath Baptist Church. First and foremost they are a Christian church. Wheelock Heath Baptist Church is made up of a growing family of people of all ages who have found new life through Jesus Christ and who want to share their discovery with others, not only in the immediate locality, but also throughout South Cheshire. Like millions of other Christians, we have found that a relationship with Jesus Christ changes lives, and believe that salvation from sin and hope of heaven is uniquely found through faith in him. We see it as our primary task to proclaim him to the world and follow him in our lives. For a clear statement of our core beliefs, why not read Who We Are and What We Believe. Wheelock Heath Baptist Church currently meets in two locations every Sunday. Two Charged Two men charged with a “bogus caller” burglary in Nantwich have been remanded in custody to appear at Chester Crown Court in May. The two are also charged with a similar offence in the Congleton area and two similar offences in North Staffordshire. One of the men also faces a charge of burglary in Nottinghamshire. New Appeal to Missing Man Police have appealed to a man they want to question in connection with an attempted murder at Crewe in August 2007 to contact them. Clinton Reid, aged 30, disappeared soon after the incident, in which a man was stabbed eight times. A car which was used by Mr. Reid has now been found, burned out, at Moston, near Sandbach. Detective Sergeant Paul Williams said, “Mr. Reid should take the opportunity to eliminate himself from our enquiries. Alternatively I would like to hear from anyone who knows where he is or who has any information about his movements since the incident. The contact numbers are the Cheshire Police Information Line 0845 458 0000 or Crimestoppers on 0800 555 111. Sentence for Hoax Calls A 21 years old man from Crewe who set fire to a wheelie bin and made hoax 999 calls was ordered to do 100 hours unpaid community work. He was also given a 16 week prison sentence, suspended for 12 months. The man admitted a charge of arson and a charge of wasting police time by making three 999 calls. The calls included false reports causing apprehension for the safety of the public. Arrests Follow Attack Three men were arrested after a 32 years old man was attacked and seriously injured in Crewe. The assault took place as the man tried to repair his car, which had broken down. The men were later released on police bail while further investigations are carried out. Surgery in a Surgery The Rope Green Medical Centre has been chosen as the venue for police surgeries for people in the Shavington, Rope and Wells Green areas of Crewe. Police Community Support Officer Neil Flanagan said he and his colleague Paula Davies had decided on the “surgery in a surgery” idea because of the medical centre’s location. It is at the point where Shavington joins Rope and Wells Green. “We thought it would be handy for everyone and it’s important that plenty of people come along,” said Neil. The first surgery will be on Thursday April 30th from 4pm to 5.30pm. It will be repeated on the last Thursday of each month, at the same time and place. Working with Crewe Blog we have been hunting down rubbish well it doesnt take any hunting it more a question of falling over it. But this one took the biscuit. Its the car park at Queens Park used by the BMX track and I found half a car thrown away with rubbish all the way down the bank to the stream. So its not only rubbish but can pollute the steam with oil etc and this would run into the Park Lake if there was one.